The history of the Kelly bag is as iconic as the handbag itself. 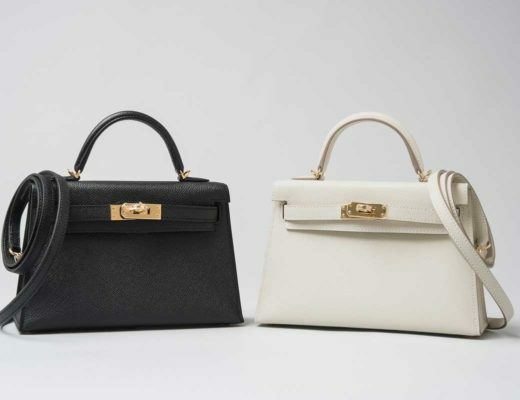 To understand more about the Kelly, it is important to understand about Hermès. This iconic French house started out making harnesses and saddles for horses. So it comes as no surprise that the first version of the Kelly bag was much larger and intended to hold saddles. This version was introduced in 1892 and was known as the Haut à Courroies. In the 1930s, a smaller version of the Haut à courroies was redesigned and renamed the Sac à Dépêches. With its trapezoid shape and top handle, the Sac à Dépêches was a departure from the popular bags of the time, which were all held at the hand and much smaller, resembling an envelope. Fans of old Hollywood movies would most likely have seen Alfred Hitchcock’s 1954 film To Catch a Thief, featuring Cary Grant and actress Grace Kelly. For this movie, the costume designer purchased Hermès accessories to attire the leading lady; one of them was the Sac à Dépêches, and Kelly was head over heels with the handbag. Now that you know more about the history of the Kelly bag, you should know why the Kelly is so popular. 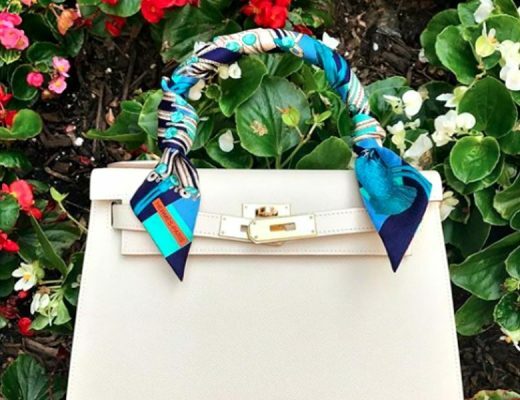 Hermès makes a lot of handbags, so why is the first leather handbag they ever made one of the most popular? The answer is simple: the Kelly bag is a classic icon. Its shape is just as current today as it was 70 years ago. The detachable shoulder straps offers ease of wear, and its two iterations: Sellier and Retourne provide versatility to the wearer. Some celebrities are team Birkin and others are team Kelly. Below are some celebrities who love the Kelly bag! Leslie Mann uses the detachable strap for hands-free travel. Laverne Cox loves a structured Kelly. Miroslava Duma loves small Kelly bags, specially in exotic skins. Chiara Ferragni loves Birkin bags, but is known to wear a Kelly when she prefers to have her hands free. Miranda Kerr loves Kelly bags in neutral colors. Rachel Zoe carries a large Sellier Kelly and the slouchy feel fits her boho personality.